Our goal is to make each guest feel more beautiful when they leave, than when they walked in our door. 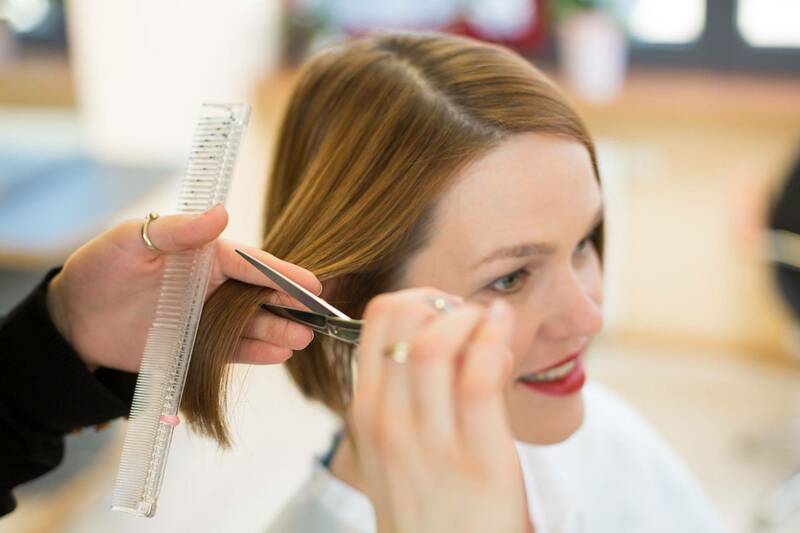 The experienced and talented hairstylists at The Salons of Elm Square are among the most qualified in the industry. Within our first year of business, our beauty salon was voted "Among the Best" in the Killeen Daily Herald's Readers poll. Each hairstylist has their own private suite to offer you the ultimate beauty experience. Whether you need a quick haircut or a total hair makeover, you'll find it here. Check out our services, and call us to make an appointment today! Each hairstylist works independently in the salon, so scheduling appointments and pricing is done directly with the stylist. We are proud to offer services for all different hair types. Check out our "Meet the Hair Stylists" page to see which stylist will best suit you. Our salon offers haircare for every hair type. Men, women and children are welcome. We look forward to earning your trust and providing you with excellent service for years to come. Each stylist works independently in the salon, so booking appointments and pricing is done directly with your hairstylist. Choose a stylist and schedule today!